iMusic helps you import songs from computer to iPhone, iPod and iPad without iTunes Library. This feature is very helpful if you haven’t authorized the computer for syncing songs to your iPhone, iPod or iPad. And no data will be erased on your Apple device. 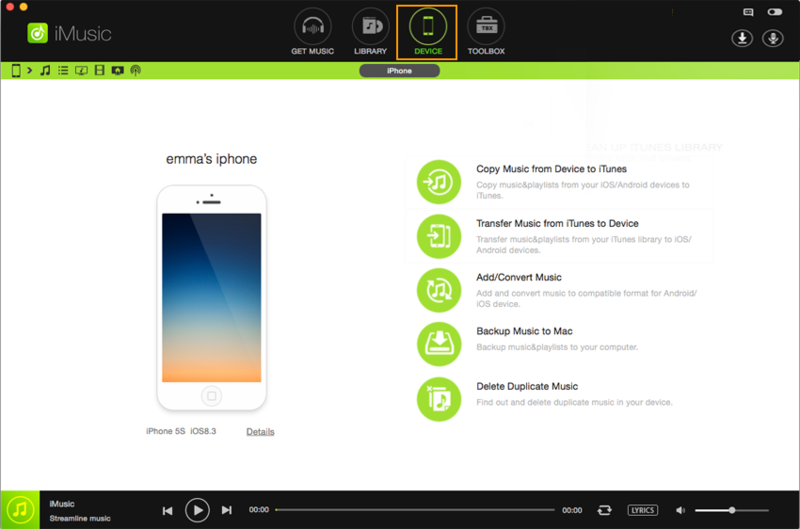 Playlists and videos can be transferred from computer to iPhone, iPod, iPad as well. Don’t worry about the file format issue. iMusic will convert them to iDevice friendly format during the transferring process. Download iMusic on your computer. Double-click the installation package and follow the built-in instruction to install the software. After then, use a digital cable to connect your iPhone, iPod or iPad with your computer. When connected successfully, it will appear in the “DEVICE” window. 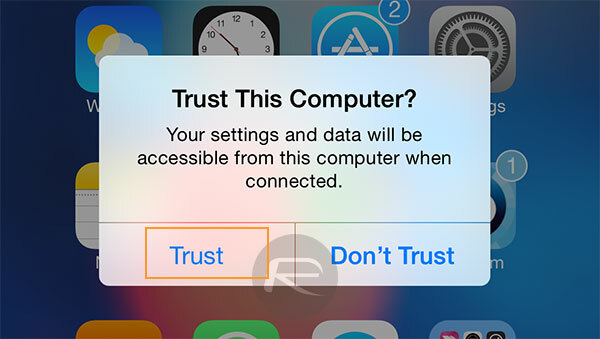 Otherwise, you need to tap the “Trust This Computer” on your Apple device to let the computer recognize it. Click “DEVICE” on the ribbon to enter the management window. 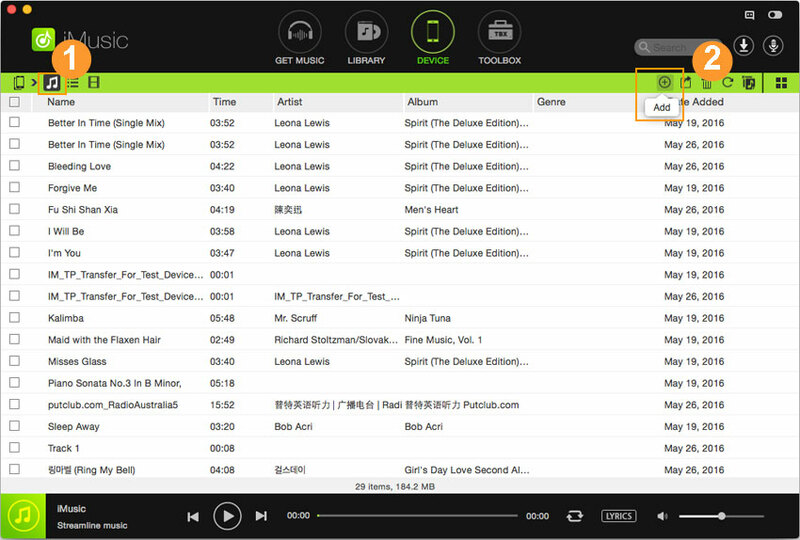 In the window, click the music icon on the left side to display all songs on the device connected to computer. After then, click the add songs icon on the right side (the first one on the right side), choose “Add File” or “Add Folder”. Browse and select the songs or folder on your PC or Mac to add to your iPhone, iPod or iPad. Click “Open” to begin the transferring process. 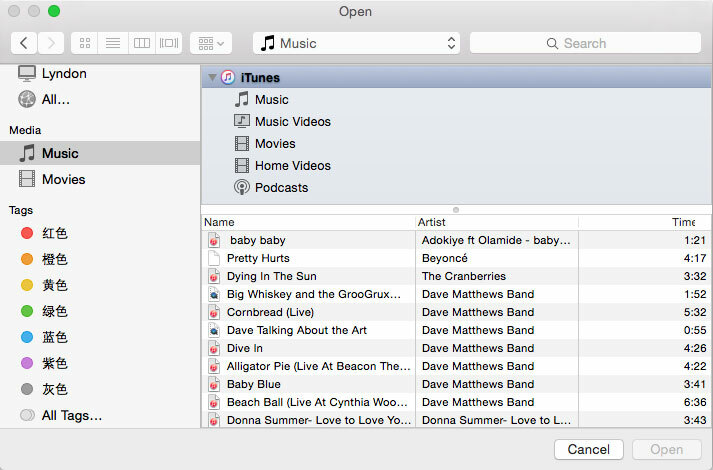 If you’re using iMusic for Mac, then there is an option “Add/Convert Music” in the “DEVICE” management window. Clicking it, then a window will pop up, letting you browse and select songs to transfer to your iPhone, iPod and iPad.